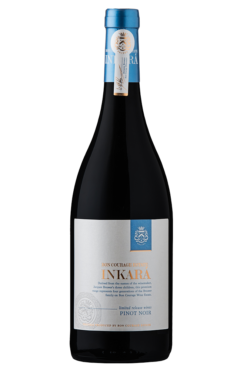 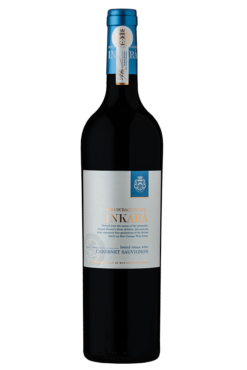 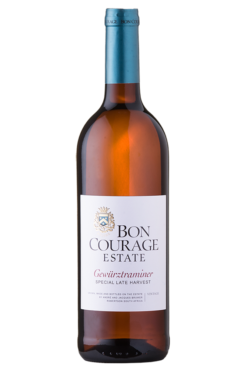 Producing quality wines at affordable prices. 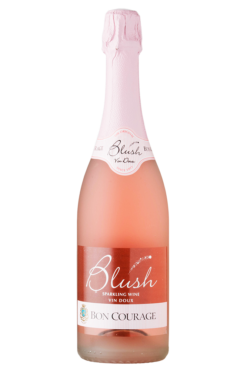 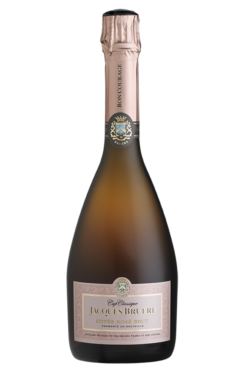 To Jacques Bruwer, few things compare to the fragrance of fermentation seeing how a wine starts to develop after the grapes have been crushed. 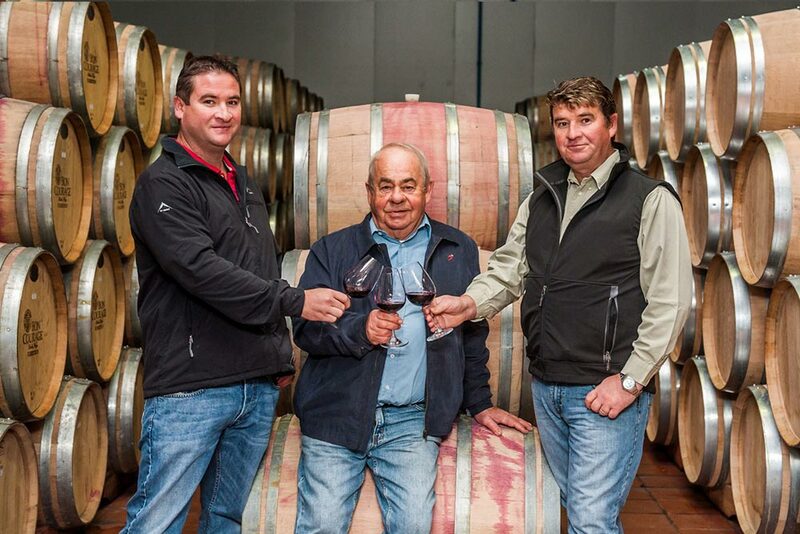 Being raised in the vineyards, you could say that winemaking is a part of Jacques’s genetic makeup. 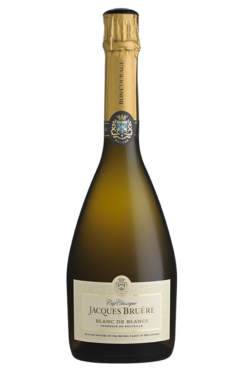 Jacques, who learned a lot by simply watching his father in the cellar, studied winemaking at Elsenburg after school. 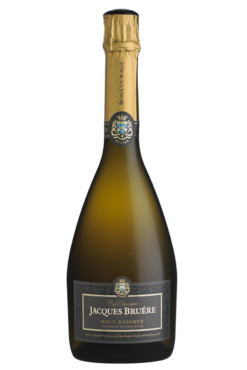 This was when he first used Chardonnay grapes to make a Champagne-style wine in the traditional – something that his father also loved doing. 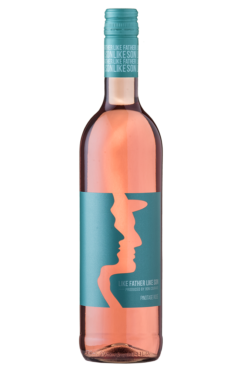 Later, Jacques gained further practical experience in Germany and France before joining his father on the family farm in 1990. 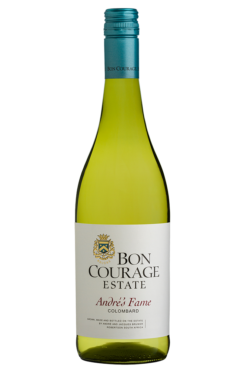 His father, André, was his greatest influence, teaching Jacques that winemaking starts in the vineyard. 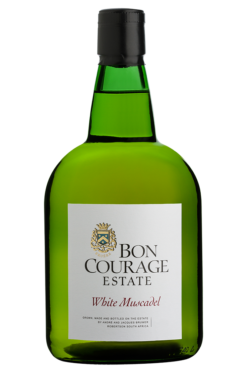 Willie Bruwer bought the farm Goedemoed from the local Dutch Reformed Church in 1927. 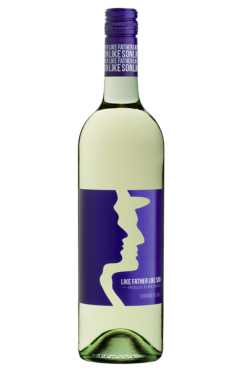 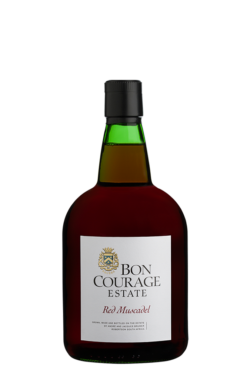 In the sixties, Willie’s son André joined the business, renaming it Bon Courage, in honour of his French ancestry, in 1983. 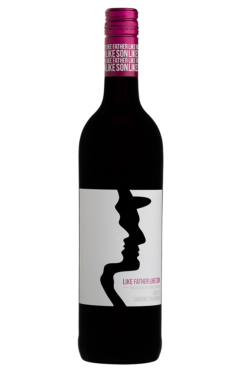 Nowadays, Jacques Bruwer is the third generation on the farm. Bon Courage boasts a diversity of soils and microclimates, allowing for a wide range of grape varietals to thrive. 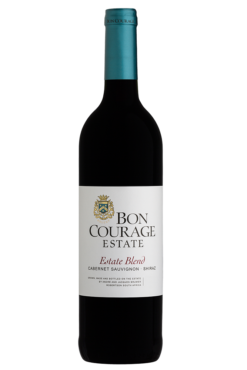 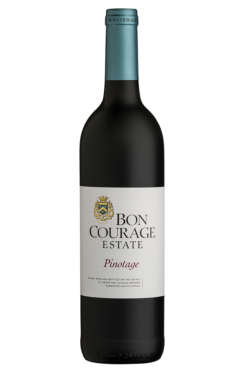 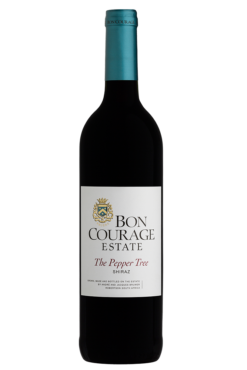 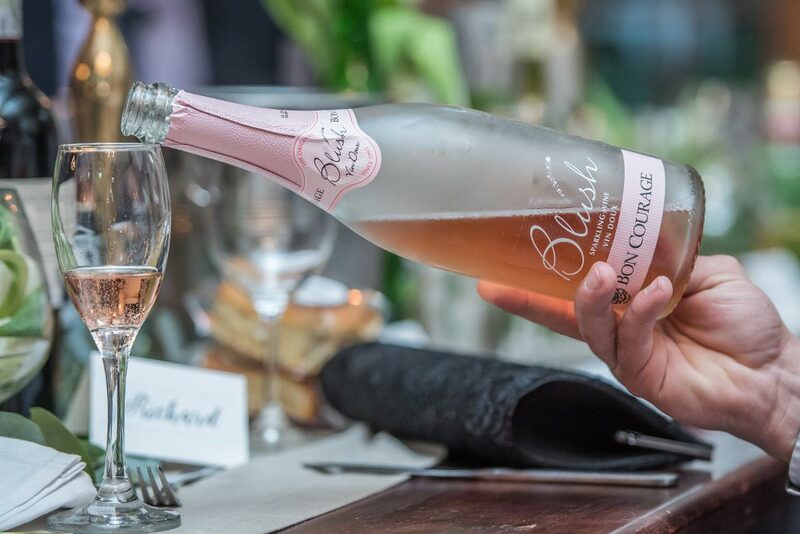 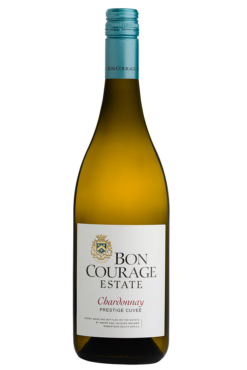 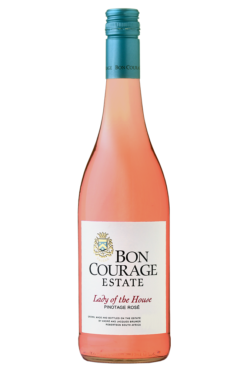 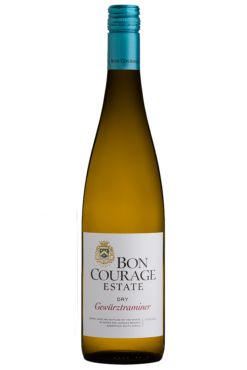 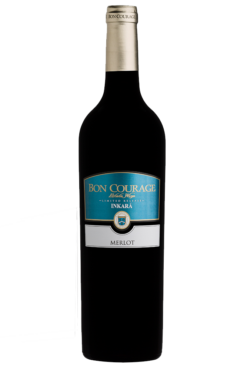 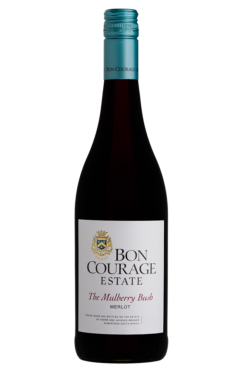 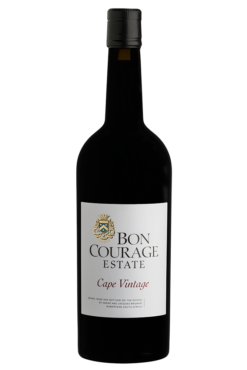 Cultivars have always been matched with their ideal soil type, creating Bon Courage’s classic fruitful wines. 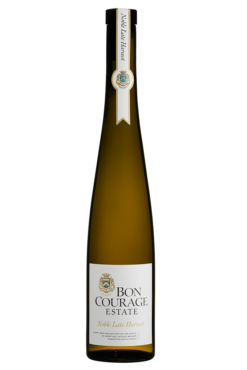 Amongst these is the Bon Courage Noble Late Harvest, produced from a vineyard of Weisser Riesling, planted in 1980.